The duality of the word “Boss Mom” is complex, and everyone has a diverse journey that leads them to claim this title. The relationship between boss and mom is at times conflicting, two parts of yourself at odds with one another. On the one hand, you have this desire within you to build something, to create an empire, to bring in an income for your family, to be a CEO. On the other hand, you want to be the best parent possible to your children. You want to help shape your children into the best version of themselves, to cultivate who they are. You want to lead by example and show your kids that who they are and what they love matters. A commonality between all boss moms (and people in the world) is finite time. We all have 24 hours in a day. When we are wearing a mix of hats like boss, mom, wife, fitness guru, self-care maven, and so on, how we spend this finite time is what matters. I’ve always believed that quality trumps quantity – that 2 hours of intentional time together is better than 12 hours of distracted, absent parenting. I’ve either worked full-time, owned a business, or both throughout my daughter’s entire life. That said, on any given weekday I have between 2 to 4 hours to spend with her. Now that’s not a lot of time, and because I’m the type of parent that craves to instill solid morals and values in my daughter’s heart and cultivate her interests, I have to be strategic about what we do together. That’s not to say all of our time together is structured. There’s great value in free play…but if I want to teach her something (like some of our family values, for example) structure helps. An amazing way to connect with your children, to make the most of short chunks of time together, and to effectively communicate any parenting lesson you are working to teach them – is through children’s literature. For over a year I have been advocating for the power of children’s books and teaching parents how to be strategic about what books they choose to read to their children, based on what is most important to their family. I’ve coined the term and method of curating literature in my book, The Intentional Bookshelf and I believe that in order to have the maximum impact, you need to focus your efforts on finding books that speak to your family’s values & interests. 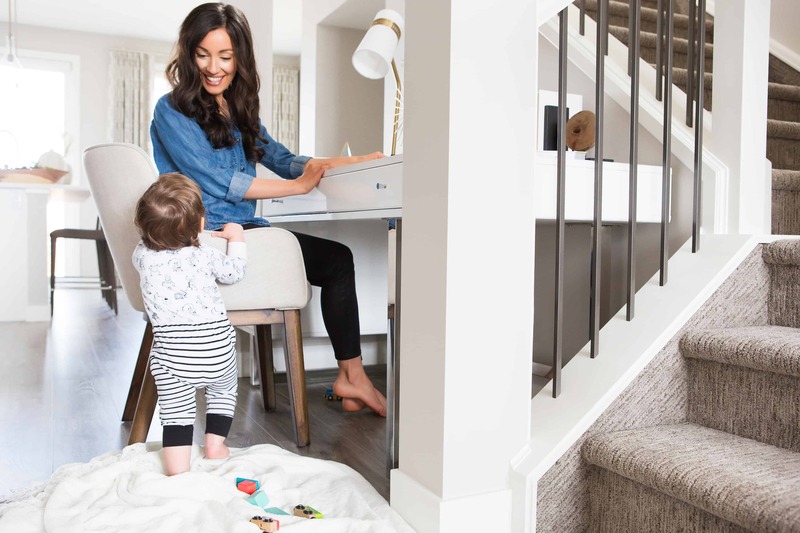 Boss Moms need an Intentional Bookshelf in their homes – to address that “mom” part. Think of it this way: when you’re off being a boss you can feel confident that when it’s time to be mom, even if you don’t have 10 hours to spend with your children, you are equipped to be an intentional, present parent by reading quality books and engaging with them on an intimate level. This confidence in the resources I’ve curated for my family helps me when that dreaded guilt comes into my mind. I love what I do, but from time to time I begin to feel like I’m not doing enough. When I’m sitting in a coffee shop working on my passion and being a boss, and I see a fellow mom sitting and hanging out with her child and teaching them lessons, I feel that pang of, “I should be doing that”. What gets me back to a place of calm and assurance is knowing that when I go pick my daughter up from preschool, when we come home and we sit together and read and do activities – that I’m packing in some solid lessons into our time together. My phone is away, I can be present because I’m genuinely interested in what we’re doing (I always pick books that I enjoy, too) and our resources apply to what I want to teach and experience with my daughter. 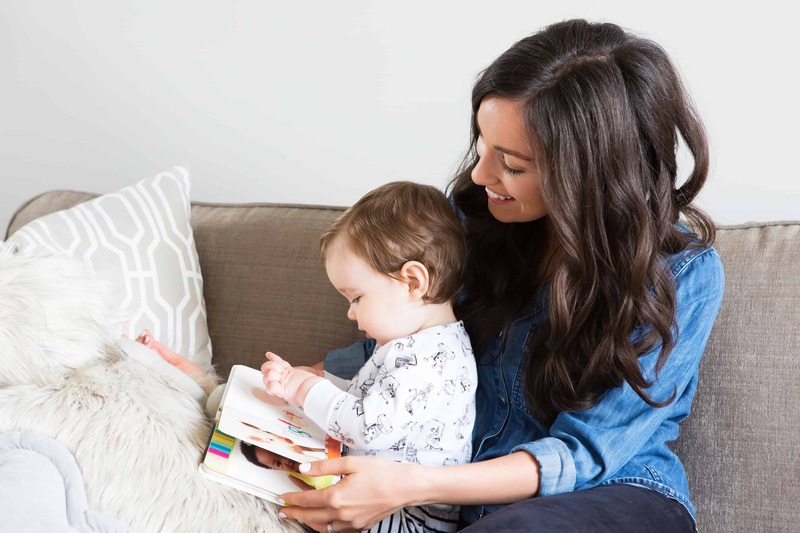 I’m going to be real with you – the process of finding books that address all of your parenting needs and are those magical perfect books that fit your intentional bookshelf and will provide all those warm fuzzies that make you feel like a good parent – it’s hard. It’s time consuming! Though not impossible to do, it does take a good deal of brainpower and time. I’ve had so many parents, boss moms especially, say that they love the idea of the intentional bookshelf, and desperately crave one for their family. However, going to a bookstore when they only have a few hours to work each day and sifting through hundreds of books trying to find the right one is exhausting. And I get it – books are my thing – my brain is like a rolodex of book titles and all the topics and categories they apply to. So, I have done the boss mom thing – I have created a solution for this. You, too, can have an intentional bookshelf. You can enjoy wonderfully impactful and fun activities with your children that are inspired by literature and the values you are trying to teach. You can connect with other intentional parents who crave the same things you do and are struggling through the challenging times of potty training, separation anxiety, bullying and so on. The Intentional Book Club is the place for you, my fellow Boss Mom. This exclusive space is for families who are saying yes to being purposeful with their limited time together. This space is for parents who are busy, but still want to teach their children effectively through literature. This club is for families who want to be a family who reads, who spend time sitting around the living room having deep meaningful conversations, who experience life through the educated lenses of literature, and who are so clear on their family values they could recite them on the spot. From one Boss Mom to another – I hope to see you and your family hanging out there. Let our software do the legwork of finding all the books for your intentional bookshelf and make it so easy for you to fill your home library with the best books. Connect with authors, get inspired to create fun, structured activities for your family, collaborate with other parents and do more with your books and your time with your kids. 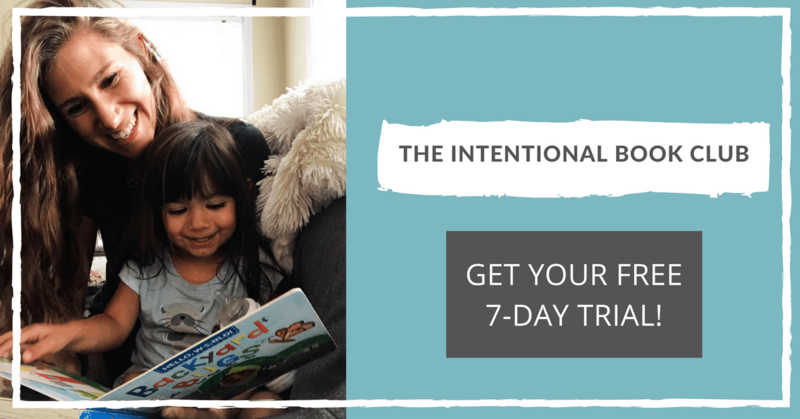 Click HERE to learn more about The Intentional Book Club & grab your FREE 7-day trial today. 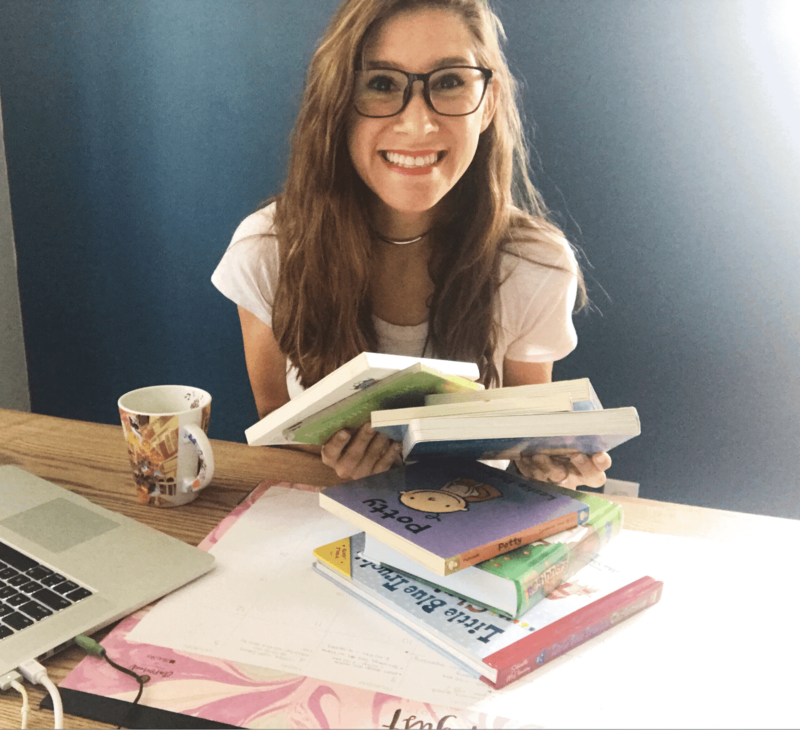 Samantha Munoz is a mother, wife, engineer, bibliophile and avid coffee drinker. She is also the expert kid’s lit curator at Addison Reads, author of The Intentional Bookshelf and founder of The Intentional Book Club. Sam helps parents as they search for the perfect books for their little ones and helps moms and dads build a library with a purpose. Once a seriously overwhelmed and stressed out parent herself, Sam turns to children’s literature for the answers to all of her parenting dilemmas. She loves when it rains because it gives her an excuse to stay inside and read with her daughter! If you’ve got a question about today’s episode or want to leave us some inbox love, you can email us at hello@boss-mom.com. Or, you can always find Dana hanging out in her happy place, the Boss Mom Facebook Community. We would also LOVE it if you’d leave a podcast rating or review for us on iTunes! We know it can be kind of tricky to figure out, so here are a few step-by-step instructions on how to leave an iTunes rating or review for a podcast from your iPhone or iPad. Enter the name of the podcast you want to rate or review. Visit Boss Mom : Dana Malstaff's profile on Pinterest.